Japan Reclaims Top Ranking on Latest TOP500 List of World’s Supercomputers with their SPARC64 VIIIfx running Linux. The 37th edition of the closely watched list was released Monday, June 20, at the 2011 International Supercomputing Conference in Hamburg... For the first time, all of the top 10 systems achieved petaflop/s performance – and those are also the only petaflop/s systems on the list. The latest #1 listing from Fujitsu managed to make it to the top without any GPU's, a move which has been bucking the trend for more recent newcomers to the list. It is good to see Open CPU architectures like SPARC appearing at the top of the supercomputing list, again! The Network Management Solaris page has been updated, adding a reference to DTrace. There is a feature embedded into Solaris, starting with Solaris 10, which allows for systems administrators to get telemetry (i.e. live data & statistics) from a running system with virtually no overhead. This is accomplished by the instrumentation of the OS (i.e. Solaris) at the kernel level, with something that is called "probe points". Any common systems administrator can diagnose a third party application performance by observing the Solaris "probe points" and measuring performance via DTrace. Does it still sound strange? It very well could, unless you have an operating system which is BSD derived. Apple OSX and Solaris are two operating systems which leverage this free infrastructure. Network Management resources should be skilled in this feature, to understand the scalability of their applications, operating systems, and hardware platforms. The Network Management SNMP page has been updated, adding a reference to Solaris 10 LDoms, or more recently called Oracle VM Server for SPARC. There is an SNMP management infrastructure for the SPARC "T" series, which can be leveraged (free of cost) to provide multiple domain management fault and performance management. Capabilities include: reviewing the cpu/memory/disk/network/virtual-network resources, oberving logical domain stops/starts, and even stopping/starting logical domains through SNMP. Why does this sound so foreign? Because no one else does it for free, that is why... just another reason why Network Management resources are familiar & skilled with SPARC and Solaris. Citrix XenApp Platinum with SmartAuditor comes shipped with an embedded Microsoft SQL Database. Microsoft removed the backup agent from the MS SQL Express 2005, even though it was bundled in former Express releases. There are alternatives to the stock backup capability that Microsoft stripped from their MS SQL Express. Microsoft provides some best practies backup and restoral of their database. Microsoft published such notes on the Microsoft Deveoper Network, or MSDN for short. [MSDN Managing Database Files (SQL Server Express)] - Microsoft published a note about managing database files under Microsoft SQL Server Express 2008R2 release. Similar notes for 2005 and 2008 editions were also included. [MSDN Deploying SQL Server Express] - This technican note deployment of MS SQL Server Express from 2008 and on, including a tool called "xcopy". Versions 2008, 2008R2, and the next release (i.e. Denali) are all noted. [MSDN How To: Attach a Database File to SQL Server Express ] - This note discusses attaching a database file, from a backup, to a Microsoft SQL Server Express installation. Versions include: 2005, 2008, 2008R2. and Denali. [MSDN SQL Server 2008R2 Backup Overview] - This note includes a link to Recovery Model Overview. An additional note points to Creating Full and Differential Backups of an SQL Database. An additional note on Working with Transaction Logs is also referenced. [MS Developer Network Backups] - In May of 2008, Jonathan Kehayias posted an article on Microsoft Developers Network with a stored procedure and basic usage of the procedure in order to perform backups and restorals. The article is not clear on performing restorals. [MSDN Backup Transact-SQL] - Microsoft published a technical note on how to conduct various backups of Microsoft SQL Server. The article is not clear on performing restorals. After doing some searches, there was a similar Restore Transact-SQL note. [MSDN How To Restore a Database Backup] - This note discussed how to conduct a restore using Microsoft SQL Server Management Studio. [MSDN Backing Up and Restoring Databases] - This note is explicitly for SQL Server. [MSDN Copying Databases to Other Servers] - This note is explictly for SQL Server. Over the internet, many common people lamented the problem with Microsoft yanking the agent involved in scheduling database backups from SQL Server Express starting from 2005 version. Various people took different approaches. [DB-Save SQL Server Backup] - A robust German solution which will not only backup and restore, but allow for restoral onto other systems. DBSave says it is optimised for "SQL Server newbies". It is available in freeware and commercial editions. Encryption and compression are both available. One databases supported via freeware. Backup to FTP Server supported. Scheduled jobs are not available in freeware edition. See Feature Matrix. [SQL Backup and FTP] - A simple solution which will backup and restore up SQL databases. It is available in freeware and commercal editions. Compression is available. Two databases are supported via freeware. Backup to FTP Server is supported in freeware edition. See Features Matrix. [SQL Agent: A .NET Framework] - Danilo Corallo published a piece of code on May 2008 that provide the yanked Job Scheduling feature and runs as a Microsoft Service. [SQL Server Nation SQL Server Express Automation ] - Tim Chapman published a suggestion on how to backup SQL Server Express databases using a script and the Microsoft Windows 2008R2 Scheduler. [BrianMadden Automate Backup of SQL Server 2005 Express] - Katie Koepke in May 2007 published an article on backing up the embedded database in Citrix. Microsoft has really put the screws to new users of their embedded database technology by removing the most basic of features and not clearly documenting a simple path for backup and restore. Solaris 11: Release Date November 2011? An employee at Oracle noticed a code change in public package-manager code by Padraig O'Briain, a fellow Oracle employee, on Tuesday May 31st 2011. Less than a half year to go before Solaris 11 arrives, if all goes well! Since VMware vSphere 4.1 and its subsequent update and patch releases are the last releases to include both ESX and ESXi hypervisor architectures & future major releases of VMware vSphere will include only the VMware ESXi architecture, it is important to understand the differences between the conventional ESX and the lean ESXi virtualization products from VMware. Service Console is a standard Linux environment through which a user has privileged access to the VMware ESX kernel. This Linux-based privileged access allows you to manage your environment by installing agents and drivers and executing scripts and other Linux-environment code. VMware ESXi is designed to make the server a computing appliance. Accordingly, VMware ESXi behaves more like firmware than traditional software. VMware has created APIs through which monitoring and management tasks – traditionally done through Service Console agents – can be performed. VMware has provided remote scripting environments such as vCLI and PowerCLI to allow the remote execution of scripts and commands. Tech Support Mode (TSM) provides a command-line interface that can be used by the administrator to troubleshoot and correct abnormal conditions on VMware ESXi hosts. VMware ESX Service Console has a host CLI through which VMware ESX can be configured. VMware ESX can also be configured using vSphere CLI (vCLI) or vSphere PowerCLI. The vSphere CLI (vCLI) is a remote scripting environment that interacts with VMware ESXi hosts to enable host configuration through scripts or specific commands. It replicates nearly all the equivalent COS commands for configuring ESX. VMware vSphere PowerCLI is a robust command-line tool for automathing all aspect of vSphere management, including host, network, storage, virtual machine, guest operating system, and more. vCLI, PowerCLI, and vSphere SDk for Perl are limited to read-only access for the free vSphere Hypervisor edition. To enable full functionality of vCLI on a VMware ESXi host, the host must be licensed with vSphere Essentials, vSphere Essential Plus, vSphere Standard, vSphere Advanced, vSphere Enterprise, or vSphere Enterprise Plus. Certain COS commands have not been implemented in the vCLI because they pertain to the management of the COS itself and not ESXi. VMware ESXi supports scriptable installations using a mechanism similar to Kickstart, and includes the ability to run pre- and post-installation scripts. VMware ESXi also provides support for post installation configuration using PowerCLI- and vCLI-based configuration scripts. VMware ESXi may be booted from SAN. This is supported for Fibre Channel SAN, as well as iSCSI and FCoE for certain storage adapters that have been qualified for this capability. VMware ESXi supports SNMP when licensed with vSphere Essentials, vSphere Essential Plus, vSphere Standard, vSphere Advanced, vSphere Enterprise, or vSphere Enterprise Plus. The free vSphere Hypervisor edition does not support SNMP. VMware ESX provides native support for Active Directory integration. VMware ESXi provides native support for Active Directory integration. VMware ESXi provides HW instrumentation through CIM Providers. Standards-based CIM Providers are distributed with all versions of VMware ESXi. VMware partners include their own proprietary CIM Providers in customized versions of VMware ESXi. These customized versions are available either from VMware’s web site or the partner’s web site, depending on the partner. Remote console applications like Dell DRAC, HP iLO, IBM RSA, and FSC iRMC S2are supported with ESXi. VMware ESX software patches and upgrades behave like traditional Linux based patches and upgrades. The installation of asoftware patch or upgrade may require multiple system boots as the patch or upgrade may have dependencies on previous patches or upgrades. VMware ESXi patches and updates behave like firmware patches and updates. Any given patch or update is all-inclusive of previous patches and updates. That is, installing patch version “n” includes all updates included in patch versions n-1, n-2, and so forth. Furthermore, third party components such as OEM CIM providers can be updated independently of the base ESXi component, and vice versa. vSphere Web Access is only experimentally supported in VMware ESX. VMware ESX Service Console can be used to issue command that can help diagnose and repair support issues with the server. Remote command sets such as the vCLI include diagnostic commands such as vmkfstools, resxtop, and vmware-cmd. The console interface of VMware ESXi (known as the DCUI or Direct Console User Interface) has functionality to help repair the system, including restarting of all management agents. Tech Support Mode, which allows low-level access to the system so that advanced diagnostic commands can be issues. VMware ESX 4.1 fully supports Jumbo Frames. VMware ESXi 4.1 fully supports Jumbo Frames. 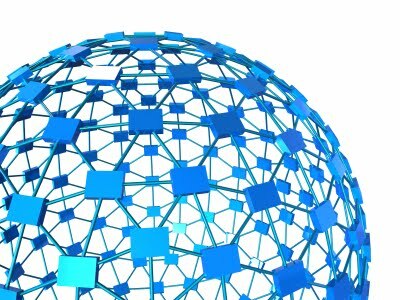 Some interesting articles published related to network management platforms.